Removing teeth is never our first choice at Canyon Creek Family Dentistry of Richardson. 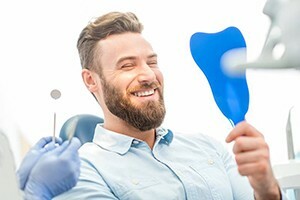 It is always our final recourse when there are no other options, but when removing one tooth will benefit the health of your whole smile, our team can offer safe, comfortable tooth extractions. If you’re in need of tooth removal or any of the wide range of restorative dentistry services we provide for our patients, please don’t hesitate to give our team a call today. We’ll schedule a treatment consultation appointment for you to come and visit us in our state-of-the-art Richardson dentistry practice. 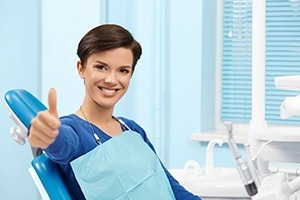 We’ll examine your smile and help you to develop a personalized tooth extraction plan, and when necessary, we will also plan to replace your lost dental structures. There ae many reasons why we may need to remove your wisdom teeth. Their late eruption into the smile often means that patients don’t have adequate space to accommodate an additional set of molars. This can make it impossible for the wisdom teeth to erupt at all, and it can shift surrounding teeth out of alignment. In order to protect overall oral health in these situations, we will recommend wisdom tooth extraction. Tooth extraction is completed either by pulling or surgical removal. Pulling a tooth is possible only if the tooth has fully emerged from the gum line. When this happens, we can numb the area and use a clasp tool to shift the tooth back and forth until it breaks free from the supportive structures. 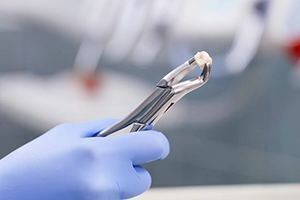 Surgical removal may be simply cutting away soft tissue to reveal additional tooth structure, or it could include more advanced methods like drilling into supportive bone tissues or breaking the tooth into smaller pieces. First 48 hours – only consume liquids. Change out gauze as necessary as it becomes saturated. Use ice packs at 20 minute intervals to reduce swelling and inflammation and slow bleeding. Brush and floss teeth twice a day taking special care to avoid the extraction site. First week – begin eating a wider variety of foods as you feel capable. You should begin to notice a significant decrease in discomfort and sensitivity. If your pain persists or worsens after the first two days, call our team. If we’ve provided antimicrobial mouth rinse, use this as directed to aid in the healing process. Ongoing – if you have stitches that need to be removed, we will typically schedule this appointment for a week or two after extraction. After the first week, you should feel almost back to normal. If you’re still experiencing significant pain, please let us know.